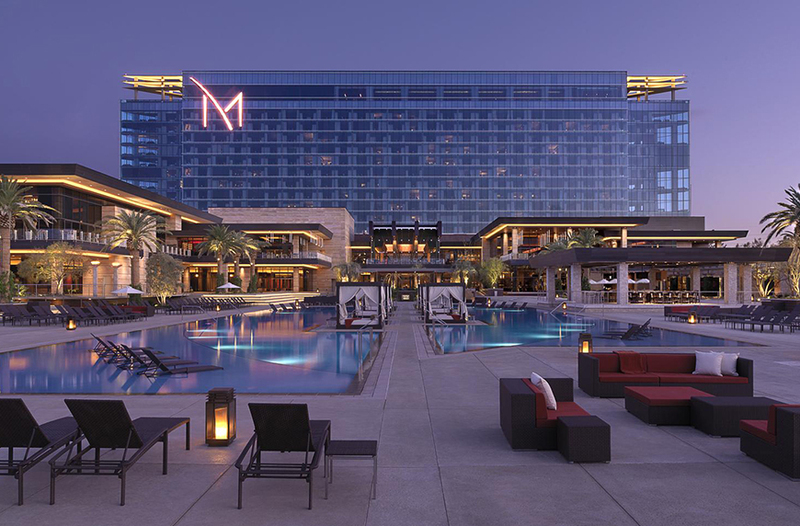 DayDream at the M Resort in Las Vegas is set to be one of this summer’s hottest pool party destinations. This is not your typical backyard swimming session. 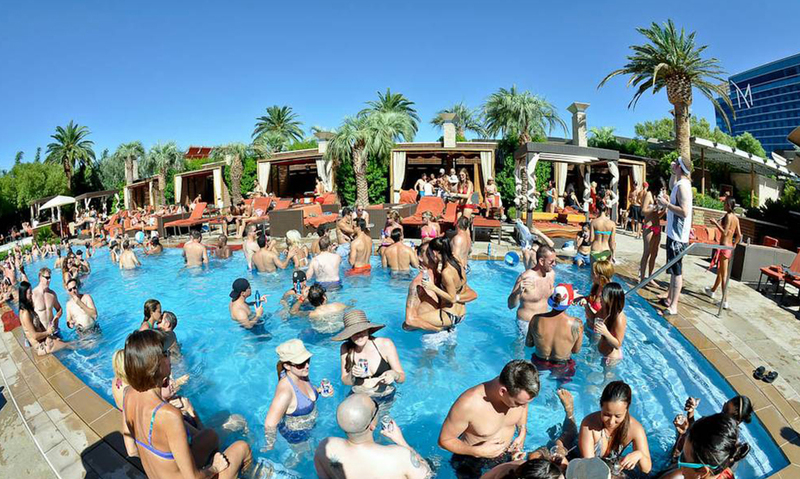 When the temperature heats up, you can expect hundreds of Vegas’ finest to flock to the pool to engage in friendly conservation, soak up the sun, and enjoy endless chilled drinks. As the club is exclusive to the 21+ crowd, you don’t have to worry about kids running or splashing as you’re trying to relax. Spend the long, sunny days of summer in paradise. 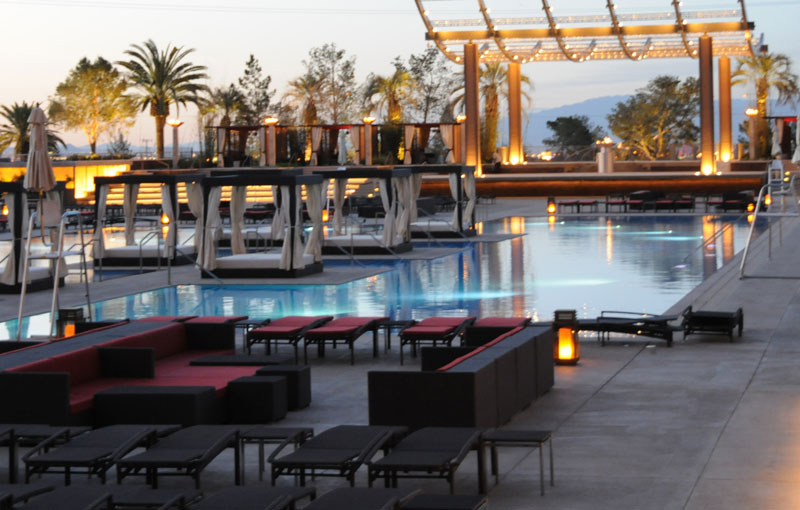 Unlike many other pool clubs in Sin City, DayDream has a slightly different vibe. Instead of being loud and rowdy, the venue is cool, calm and relaxing. Getting into the club is simple. Hotel guests are free, locals pay a mere $10, and non-locals are charged a $20 cover price. Beach and pool attire is of course the go-to dress code, so wear your most stylish bikini, one-piece or swim shorts if you’re a guy. Bring along a group of your closest friends, as the total occupancy for this popular outdoor venue is whopping 350. 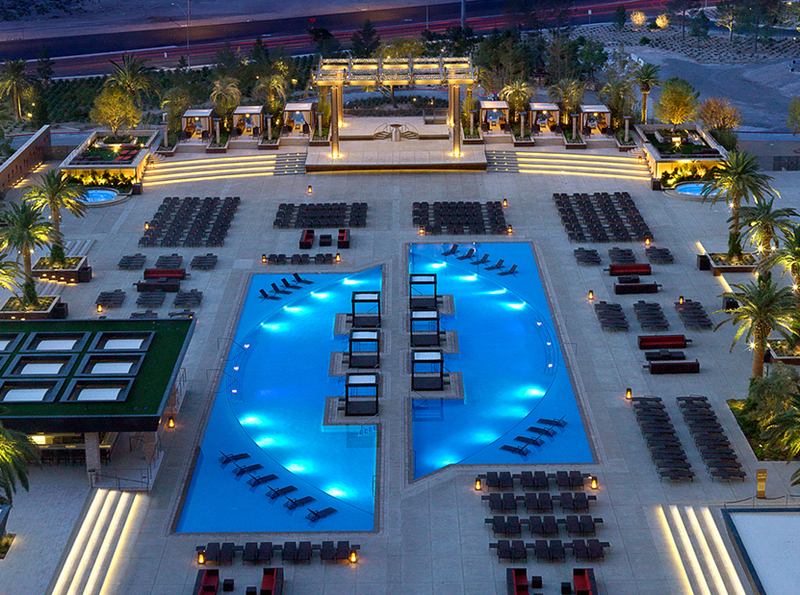 Sure, M Resort has its own main pool, but DayDream can be found tucked away from the resort’s main swim area. Everything you need in a pool party environment is right at your fingertips, including a central pool, comfy sofas and lounge chairs, daybeds, and cabanas. All chairs are first come, first serve, and all cabanas and daybeds should be reserved ahead of time if you want to secure seating. While the club is slightly smaller than other Vegas establishments, the entertainment is spot on. Resident DJs, DJ Hollywood and DJ Hope, keep the beats going from morning till late night, without being overly loud and obnoxious. The furnishings and décor are also top-quality, from the luxurious-equipped cabanas to the comfortable and private daybeds. Whether you’re there to dance to the live DJ mixes or lounge by the poolside, you won’t be disappointed with your visit. Of course, no Dayclub would be complete with a menu of delicious delicacies. The venue’s bar serves up a wide selection of beverages and treats, including hand-crafted cocktails, liquors, frozen drinks, and SnoBar alcohol-infused ice cream. Their alcoholic ice creams are beyond delicious, with options such as Brandy Alexander ice cream and their signature “Ultimate Roof Beer Float.” Drink your beverage by the pool, meet up with friends at the hot tub, or drink up at the ice-railed bar. There’s much to enjoy during your visit to this Las Vegas hot spot. Ladies, strut your stuff in your hottest bikini in one of the venue’s bikini contests. Winners get their share of $1,000 cash, which is awarded to the top three finalists. Come nightfall and the night swim parties begin. Lounge by the pool and enjoy the cooler temperatures as the sun goes down. Late night is the perfect time to dance and unwind if you’ve spent the day just lying about in the sun. If you haven’t been able to afford the pricey daybeds and cabanas found at other Las Vegas pool clubs, you’ve come to the right place. DayDream is highly affordable in terms of luxury seating, with prices starting at just $100 on the weekends. You and your group can get your own couch set with two lounge chairs, a spacious sofa, and an umbrella for shade. If you prefer the covered canopy daybed, you also get two lounge chairs and a complimentary bottle of liquor, snacks, and juices. There are no rental costs for the daybeds if you meet the food and beverage minimum, which is $250 for the daybeds and $400 for the cabanas.